Electrokinesis is the psychic ability that allows the mind to generate and manipulate nearby atoms using energy waves and electrical currents. When used properly, electrokinesis allows the user (also known as an Electromancer) to control and influence the flow of energy waves, electrical currents and electromagnetism. For those unfamiliar with electromagnetism, it is a branch of physics which focuses entirely on the study of electromagnetic force; this interrelates between electrically charged particles. 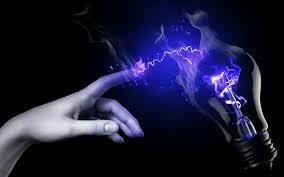 Electrokinesis can be used/performed in a range of areas and with a range of energy sources. Where is best to perform this power is determined by ones surroundings; if you use this power around a huge energy source, such as a power plant, the result of your electrokinetic power will be overwhelming, but be wary. There are always consequences for taking in too much electricity at one time; try to limit the intake. There may be some of you electrokinesis enthusiasts out there who live in rural places with only a small amount of electricity. Don’t be alarmed, this does not take away the chance to practice the art of electrokinesis. A smaller supply may be better for beginners as you don’t want to go full out in the beginning, it is better and more beneficial to try out these new powers on little energy sources such as a lamp or other electrical items that are easily accessible. 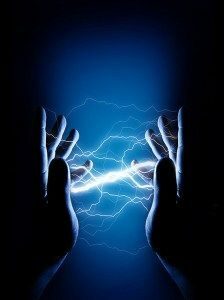 Like all powers there are strengths and limitations to what can be achieved which can vary by person to person, why should it be any different with electrokinesis? The level of strength and power that is achievable when performing electrokinesis is determined by you. The stronger you are as a person (mentally, not physically per se) and the more you believe in the power are two of the biggest factors in how much energy you will be able to absorb and control. Another factor will be how much time is put away to practice; electrokinesis can still be achieved at a high level without disconnecting yourself from the world or in other words, try not to practice all day every day. When there are strengths there will always be limitations to which one can uphold. There are two different kinds of limitations, one is the limitation to your body and the other is the limitation to the energy source in which you will be manipulating electricity. The limitations to your body is something to take into account as it can be dangerous to have too much electricity running through your body at one time. As for the limitation to the energy source, always be aware that there are certain levels of electricity in different sources so remember to take it slow and be cautious of how much energy you are manipulating. 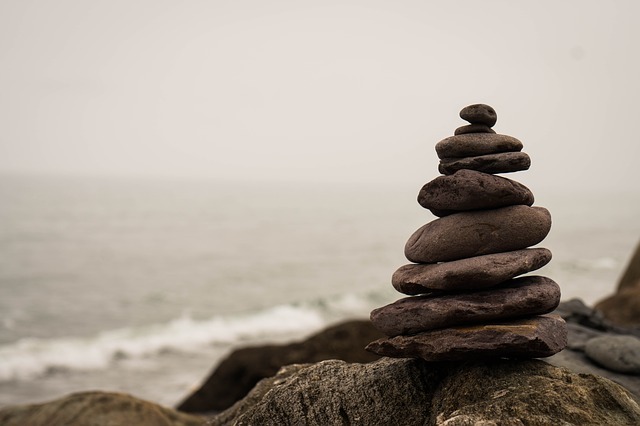 Aside from the physical limitations that come with this ability relating to both the mind and body, there are several limitations in terms of the ability itself. 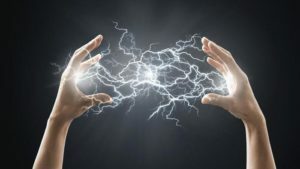 This is because electricity is being utilized when using this power and due to this factor; the overall usability of electrokinesis is slightly limited. For example, wielders of this power may run in to issues with things like magnets and water when attempting to use the ability. This is due to the effect things like magnets have on the flow of electrical current. An example of this limitation could be a user being unable to properly use the ability when near or around magnets of any proportion. Additionally, due to the fact that electricity is being manipulated; certain electrically resistant materials can limit a flow of electricity being created. Some of these materials that may cause issue are rubber and silicon. Aside from the few limitations that come with the ability, electrokinesis is still an incredible power to possess and has a multitude of strengths. It grants users a power over life and death, depending on how one decides to put the ability into practice. Aside from the obvious strengths of electrokinesis is terms of utilizing the power to save or harm lives; it also has several strengths that can be a benefit in everyday life. For example if a wielder of the abilities car needed a spark, they wouldn’t need to wait around for aid. Instead they can easily pop the hood and use there mastery over this ability to get up and running once again. Another example of everyday use of this ability is the ability to power devices and appliances from the tips of the fingers. Everyone has experienced the dread of there phone dying at the worst times. For a wielder of this ability they have no need to fret over this common issue as they can easily commence charging there device from the palm of there hand. Additionally, power outages are easy to deal with for any user of electrokinesis. From the tips of there fingers a flow can be created to supply power to every circuit and wire around the house. Overall it’s clear that electrokinesis is an incredible power that brings a plethora of benefit to the life of anyone who chooses to learn it. If you’re interested in learning electrokinesis you may be interested in the ebook below.